The odds are very high that every driver will be in a car accident at least once in his/her lifetime, and likely more than once. While chances are these accidents will not involve death – in fact only three of every thousand are fatal, injuries are quite common, and can leave a person out of work and with high medical bills. Florida, like most states, requires all drivers to have auto insurance, but Florida has one of the highest rates of uninsured motorists in the country, behind only Oklahoma. Traditionally, this would leave injured parties with litigation as the only option to recover for medical costs and other damages. 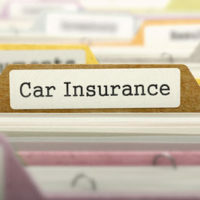 However, in an effort to reduce the amount of litigation and to relieve the financial burden on car accident victims, Florida has mandatory liability insurance every driver must purchase, termed personal injury protection, or PIP, coverage and commonly referred as no-fault car insurance. This insurance system has come under fire of late as studies have revealed that PIP has little effect on the amount of car accident-related litigation due to a systemic problem of fraud, and actually leaves drivers paying higher insurance premiums. Further, the coverage limits rarely take in all the associated costs of an accident, leaving an injured with limited recourse. One Florida lawmaker wants to get rid of PIP insurance, and hopes to have the law repealed by 2020. The point of PIP is to provide insurance protection to a driver regardless of who is at fault for an accident. This means that when a car accident occurs, each driver must first look to their own insurance companies for reimbursement for medical expenses incurred due to an injury. The amount of PIP coverage is $10,000 per policy, which includes a limit of $10,000 for medical and disability expenses and $5,000 in death benefits. However, in order to access these benefits, a number of requirements must be met or the claim will be denied. Specifically, the policyholder must seek medical attention within 14 days of the car accident, and follow up care is only covered if the person is directly referred by the initial treating physician. Importantly, though, unless the injuries qualify as an emergency, benefits are limited to $2,500, which likely means the injured party is left with a lot of additional medical costs. This standard leaves many injured individuals stuck with large medical costs and no legal recourse, but if lawmakers follow through on plans to repeal the current PIP system, those injured in car accidents would have greater opportunities to get justice for their suffering. If you sustained a serious injury in a car accident, talk to a personal injury lawyer about the possibility of suing the other driver for the harm caused to you. The laws in this area are complicated, but an experienced lawyer, like those at the Miami law firm of Pita Weber Del Prado, will know how to handle your situation, and fight to get you the compensation you deserve. Contact us for a free consultation.